The Chicago Cubs have been searching for another starter for quite a while now. And since the team failed to acquire Jake Peavy, it seems as if it will turn to in-house options like Jeff Spellcheck, Sean Marshall and Aaron Heilman. (Curt) Schilling, who has a career mark of 216-146, said money would not be a major issue. He's looking for a team that has championship potential and has never won a title. "The challenge would be in a place like Tampa Bay or Chicago," he said. Is it time to get the bloody rally sock ready? Not quite yet. But if Schill comes to the North Side, I'm gonna ask that we have a blogger's convention. Finally, we've come to the end of the road for my all-time Saluki team. To refresh your memories, let's take a look at a coaching staff led by Bruce Weber with Matt Painter, Chris Lowery and Rich Herrin (not Jack Hartman, the only guy to win a national title for SIU) rounding out the assistants. The starting lineup has balance. It has size and strength up front with Joe C. Meriweather and Ashraf Amaya and a speedy, talented backcourt with Kent Williams, Walt Frazier and Greg Starrick. Now for the bench players. Darren Brooks is the first Saluki off the bench. It was hard to keep the two-time Missouri Valley Conference Player of the Year out of the starting lineup, but it's really easy to call him to be the first off the bench. At 6-foot-3 inches, he's got size to guard any of the three opposing guards and he's skilled offensively and defensively. Joining him will be Jamaal Tatum, the 2007 MVC Player of the Year and the heart and soul of the Salukis in his junior and senior seasons. Whenever the Dawgs needed a bucket, they turned to JT3, who responded by either attacking the basket with an array of crossovers or draining a long jumper. Point guard Wayne Abrams joins the backcourt as everyone knows the Weber-Painter-Lowery system needs six guards to operate at its best. Abrams was the school's assist leader before a guy named Bryan Mullins came around. I guess I might as well add Mullins, who is only one of two players in MVC history to get 500 assists and 250 steals. Heck of a player on the court and off it. He's one of those good kids you have to have on your team. It's time to add some more frontcourt firepower, so welcome to the court Randal Falker. The 6-foot-7-inch forward was a beast in the low-post his junior and senior seasons and was always an excellent energy player. Falker, the all-time leader in blocks at SIU, is the defensive persence the team needs down low. I'll team Falker with Seymour Bryson. The big-man in the middle averaged 15.3 points and 12.4 rebounds from 1955 to 1959 and is only one of six Salukis to score 40 points in a game. The third forward off the bench is Jermaine Dearman. I guess you can start with his awesome nickname, "Big Game Jermaine" and end with what he did on the court. 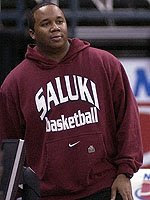 He was the muscle on the Saluki Sweet Sixteen team of 2002 and came up with many clutch performances in his time at SIU. That concludes the team that would absolutely crush the competition in Saint Louis. Missing the cut: Matt Shaw, Rolan Roberts, Marcus Timmons, Chris Lowery (the player), Paul Lusk, Stetson Hairston, Tony Young, Troy Hudson. Last night I went to bed only hearing about Norm Van Lier's passing. I wake up this morning to see on SportsCenter that Johnny "Red" Kerr died at the age of 76 after battling prostate cancer. Kerr was the Bulls' first head coach and long time announcer whose emotional calls of the game helped make basketball really interesting to me. That and the whole dust storm Michael Jordan cooked up before every home game. The passing of a pair of Bulls legends is just another reminder that life is short and death is real. The New York Daily News reports that Yuri Sucart, A-Roid's supplier, driver, (cuddle buddy?) will no longer be allowed on the team's complex. "Following Wednesday's game against the Blue Jays in Dunedin, Sucart drove a dark red Chevy Suburban into a restricted area less than 50 yards from the Yankees' clubhouse. A-Rod and Nick Swisher, along with two unidentified men, got in the SUV and headed back to Tampa." Whoa! Whoa! Whoa! Two unidentified men? That's not the Nick Swisher I know. In an unrelated(?) story, Derek Jeter drove away with three blondes, two brunettes and a red head. Bobby Peebles, a point guard from McCluer North (you know, where Torres Roundtree and Anthony Booker came from) landed SportsCenter's top play for some ridiculous play. I know Kendal Brown (Evansville, Ind.) is coming in next year to be the understudy to Kevin Dillard, but the more guards the merrier. At least in my world. Not that I'm a scout or anything, but I guess I'll take the JUCO transfer John Freeman. The 2008 Boston Red Sox did not repeat as champions but most teams don't in this era and the target is always bigger on the defending champs back. That isn't to say the Red Sox season wasn't a success. The team won 95 games to secure a wild card berth in the brutal AL East. Outside of the obvious disappointment, (not winning another title) the 2008 season was marred by drama, prospect failures and a severe case of aging. The drama was created by Manny Ramirez who, for the fifth or sixth year in a row, wanted a trade out of town. If you think the Chicago media is bad, check out the Boston folks. Ramirez was tired of it and the attention he got and he wanted out. Boston was in no such position to move him as he is one of the best hitters in baseball. But as time went out Ramirez went the old school way of punching a ticket out of town. Just act like an idiot until they can't stand it anymore. And goof it up he did. There are so many memorable plays from the last couple months of the Ramirez era but general manager Theo Epstein may have decided he had seen enough when Ramirez reportedly accosted a traveling secretary. Exit Manny stage left to Los Angeles and enter Jason Bay. Bay performed well for the Red Sox and pumped out a 30-100 season but it wasn't enough to fill Ramirez' protection void. Designated hitter David Ortiz looked lost and old without his friend and finished with his worst numbers since the year before he came to Boston from Minnesota. Recently extended World Series MVP Mike Lowell looked like he was out of gas as well. After a career year in 2007, Lowell reverted back to his old form dropping in every single statistical category. Equally old, catcher Jason Varitek pumped out some of the worst stats of his career as well. Varitek barely kept his head above water in hitting .220 for the season. On top of certain players getting older, some younger players didn't exactly pan out in the rotation. Clay Bucholz is still somewhat of an unknown quantity despite being hyped beyond imagination and failing miserably in 2008. Michael Bowden still doesn't figure into the 2009 plans either and Craig Hansen was sent out in the Bay-Ramirez deal. While all that is nitpicking a team probably returning to the playoffs, it is still easy to see the Red Sox falling below the New York Yankees and the Tampa Bay Rays in the AL East pecking order. The back end of the rotation is filled by damaged goods which means they can either be awesome or horrendous. Those two players are John Smoltz and Brad Penny. Ace Josh Beckett didn't have a good year either with an ERA of 4.00 and only 12 wins. If he doesn't bounce back you are looking at a very average rotation. Boston's offense should still be rock solid with reigning AL MVP Dustin Pedroia and established stars like Kevin Youkilis, who experienced a breakout season in 2008. But if the older players continue to regress, I could easily see the Red Sox missing the playoffs in 2009 because of their division. The season's been over for months for the SIU basketball team but it didn't stop them from spoiling Drake's senior night with a 56-55 win last night. But it gets even better for the dawgs you say? Take into account that they didn't JUST beat the Bulldogs, they beat Duke, too. Well technically it was a hybrid Blue Devils team mixed in with Drake players. But to let Greg Paulus have the game he did alongside Jonathan Cox and still win? Now, with a win this weekend, the Salukis can avoid playing on opening night of the MVC Tournament in March. Bob Dylan once wrote, "the times, they are a changin'." Freshman point guard Kevin Dillard never heard that song but his quote made even less sense than this post. What a trainwreck of a season, I can't wait to see the team lose on either opening night or the following day. In other news, per media director Tom Weber's blog I found this interesting nugget. "A pet peeve of mine really hit home last night at UIC. It bugs me when cheerleaders "cheer" against the visiting team. There are several schools in the Valley that do this, although not Southern, thankfully. I often sit on the floor during games taking photos, so I have first-hand experience. There are places you go where the cheerleaders interact with the fans and cheer when their team does well. They add flavor to the game, and all is well. Then there are places where the cheerleaders heckle the opposing team. They see themselves as kind of a "sixth man" for their team. Is that really necessary? I sat near a UIC cheerleader who had a penchant for name-calling while our players were shooting free throws. The gym was fairly quiet, so you could hear everything that was said. It didn't seem to bother our players. It just didn’t seem like a very sportsmanlike thing to do. What do I think? I think it's college basketball and the opposing crowd, cheerleaders and so forth can be the "sixth man". I also think if SIU doesn't have a pathetic showing against a mid-level Horizon League squad you don't hear about this. I also think that our "dawg pound" is one of the most unsportsmanlike groups in the conference. Who cares, it's college basketball, this is how it's supposed to be. There is a free agent quarterback I think the Chicago Bears should take a look at. In college he was a Heisman Trophy candidate. In the pros, he is only one of two quarterbacks in the franchise's history to start a Super Bowl game. And his numbers are just as good as Kyle Orton's. There is not a doubt in my mind SexCannon will only return to Chicago if (and only if) the team he signs with is scheduled to play at Soldier Field. Even then, if he is not starting, I could see where Grossman takes a leave of absence for that game week. They (and by they I mean old people with wacky sayings and lots of free time) say history is unforgiving. But I have a feeling history has nicer things to say about Grossman's time in Chicago than Bears fans. So when he goes on and signs with a nameless, faceless franchise with a heap of quarterback troubles and goes on to be a Pro Bowl-caliber player with playoff wins don't be surprised. Ladies and gentleman, I present to you the starting lineup for your future Missouri Valley Conference Tournament championship Southern Illinois Salukis. At guard, 6-3 from Mount Vernon, Ill., Kent Williams! Williams: 15.5 point per game average in his four-year Saluki career. At the other guard, 6-4 from Atlanta, Ga., one of the 50 greatest basketball players in NBA history, Walt Frazier! Frazier: 18.2 points per game in the Salukis' 1967 NIT Championship run. The third guard in the 3G offense, a 6-4 guard from Marion, Ill., Greg Starrick! Starrick: 1,428 points, 90.9 percent career free-throw shooter. At forward, 6-8 from Oak Park, Ill., Ashraf Amaya! Amaya: Fourth on the SIU all-time scoring list (1,864 points), second on the career rebounds list (1,137 rebounds). The man in the middle, a 6-10 center from Phoenix City, Ala., Joe C. Meriweather! The Chicago Cubs finally got their long-awaited chance at a Game 4 against the Los Angeles Dodgers. And Micah Hoffpauir took advantage of it. Too bad his grand slam came four months too late for me, or any Cubs fan for that matter, to give a damn. Hoffpauir hit a fifth inning grand slam which helped lift the North Side Nine to a 5-3 win against the Manny Ramirez-less Los Angeles Dodgers. It is the team's first run-scoring hit against the Dodgers since Mark DeRosa took Derek Lowe yard in Game 1 of the NLDS. Neither DeRosa nor Lowe took part in this Game 4 as each has moved on to Cleveland and Atlanta, respectively. The Cubs are 1-0 in games that don't matter. Normally I like to go with pictures of a mascot at the top of my posts in regards to these MLB team previews but the above picture suits the situation perfectly. Can money buy championships? We'll find out soon enough because if the New York Yankees win the World Series this season it won't be because of chemistry. Obviously the Alex Rodriguez situation is a big distraction and that may be enough to steer the ship in the wrong direction from the get go. Where's captain Derek Jeter during this situation in spring training? Why, warming up with Team USA for a meaningless World Baseball Classic of course. With no one to take the leadership role early on, I see grounds for another miserable season for the "empire". I'm not sure the Tampa Bay Rays or Boston Red Sox are better from a talent standpoint but I know for sure that the chemistry is better with both teams. But moving away from the drama that follows the Yankees season like an episode of "The Hills, you can see how the 2009 version of the Bronx Bombers is significantly improved. CC Sabathia and A.J. Burnett were both brought in for big money to fix a feeble rotation that was headlined by three rookies just a season ago. Both should be initially successful although I don't know that Burnett's career numbers mean great things are coming for the team. Ditto Sabathia but in a different way. The hefty fireballer has more mileage on him than a 89' Honda Accord. One of these seasons, those innings pitched are going to catch up to him. He also hasn't pitched in a large market yet and Milwaukee and Cleveland are going to look like ant hills compared to the gargantuan he's in now. Besides that, he's never performed well in the playoffs lately, either. Sounds like someone we know. The most important free agent pickup was first baseman Mark Texiera because he brings stability to the locker room and plays gold glove defense on top of being one of the most feared switch hitters in the league. Nick Swisher was also added in the offseason but it doesn't appear he has a position to play yet. Other than that it's the usual suspects for the Yankees. Gone are Jason Giambi, Bobby Abreu and Mike Mussina but they were all replaced in some facet with more talent. To be honest, I don't know how this group could form a cohesive enough unit to win a championship but the talent may be the overriding factor here. If nothing else, it will show us what kind of manager Joe Girardi is. The SIU men's basketball team has gotten the reputation of "Floorburn U" because of its tenacious backcourt defense. But over the course of time, the Salukis have had standout players among the trees over the years. Let's start with the man in the middle Joe C. Meriweather. He was tall, and good. Those are two things you're going to need out of a good big man. Meriweather ranks third in SIU history with 1,005 rebounds, averaging 12.9 rebounds in 78 career games. In the 1973-74 season, he averaged 14.9 rebounds per game. That's 2.3 rrebounds more than the Salukis' top three rebounders this season ... combined. Not only was Meriweather a defensive star, he scored 1,536 points in his career, ranking him eighth among all-time Saluki scorers. Joining him in the frontcourt is Ashraf Amaya, the powerful 6-foot-8-inch forward that starred for SIU in the early 1990s. Amaya was a best who scored 1,878 points in his collegiate career, ranking him fourth on the school's all-time list. He also secured 1,137 rebounds, good enough for second on the all-time leader list. More than that, his name is synonymous with the SIU Arena, which some analysts consider to be "The House That Ashraf Amaya Built." I heard it on ESPN once, I swear! So what about Randal Falker, Matt Shaw, Rolan Roberts, Seymour Bryson, Jermaine Dearman, Marcus Timmons? Some players will be backups. Some will be left off the team. Sad. But stay tuned to see who makes the cut. Walt Frazier is one of the 50 greatest players in the history of the NBA. Many know him for his Just For Men Commercials. But many more around these parts know him as the greatest basketball player in SIU men's basketball history. Say what? You didn't know The King of the Frazierisms was a Saluki. Well now you know. Don't feel bad, my mother (a New York City native) didn't know that either. Frazier is the lead guard of my three-guard offense of fun. He only played two years at SIU, but averaged more than 17.7 points and grabbed 10.6 rebounds was the point guard for the school's only basketball national championship. Yes, at one point the NIT was a bigger deal than the NCAAs. Deal with it. On my team of stars, Frazier will be joined in the backcourt by the school's second leading scorer, Kent Williams. Kid Kent scored 2,012 points in his four-year career at SIU and it was his teams that helped jump-start this era of Saluki hoops. You can't sneeze at a guy who started all four years and led the team in scoring from 1999 to 2003. The third guard on the list is Greg Starrick. Shocked? Don't be. Starrick owned the charity stripe and ranks 14th on the all-time scorers list with 1,428 points from 1970-72. He averaged 22 points per game in his career, second all team in career scoring and he also owns the school's top free-throw percentage, connecting on 90.9 percent of his freebies. He led the nation in FT percentage in 1971 and 1972 and everyone knows how important clutch free-throw shooting is down the stretch of the ballgame. Starrick also makes the list because he's the color guy for SIU basketball, and if he gets wind of this list and finds himself off it, he'll probably kill me. So Greg, if you find The Big Dead Sidebar, there is much love for you here. The Frazier-Williams-Starrick connection should score a lot of points in this tournament where guard play is key. I'm sure you're wondering where the likes of Jamaal Tatum, Darren Brooks, Tony Young, Chris Lowery, Troy Hudson, Bryan Mullins, Wayne Abrams, Paul Lusk,Mike Glenn and Stetson Hairston are. Well, some of those guys will make the bench squad. Some of them won't. I write about basketball and I love basketball. The athleticism, the flow of the game and the moments when the outcome hangs in the balance. But this roundballer grew up in a sandlot like many children all around the world. There was a time in my life where I lived for the feel of the hard sand underneath my cleats while I stared down the batter from third base. I was on my toes praying he would hit a screamer down the third-base line so I could dive to my right, eat some dirt and throw him out at first. I loved everything about baseball. I loved sitting on the bench and watching the game and I loved hitting the ball to the fence and even striking out. But then something happened at the beginning of last year and I lost my love. Now I am on a mission, with the help of Luis Medina, Stile Smith and the other baseball enthusiasts I know, to reclaim my love for the sport. For some reason, I started focusing on all of the negatives of the game last year. I thought players were paid too much, I thought I could care less about steroids and didn't want to hear anymore conversations about them. I didn't understand why we praised hitters when they failed 7 out of 10 times. I didn't know why I would sit and watch a three-hour game for 15 minutes of actual action. I didn't know why baseball was putting asterisks next to the records set by men who took steroids but continued to honor records set by men who didn't want to play with people because of the color of their skin. I was just fed up with the game and lost my passion for what I used to hold so dear. And it was sad because I saw my favorite team, the Chicago Cubs, win 97 games and a second consecutive division championship, but I just didn't care all that much. 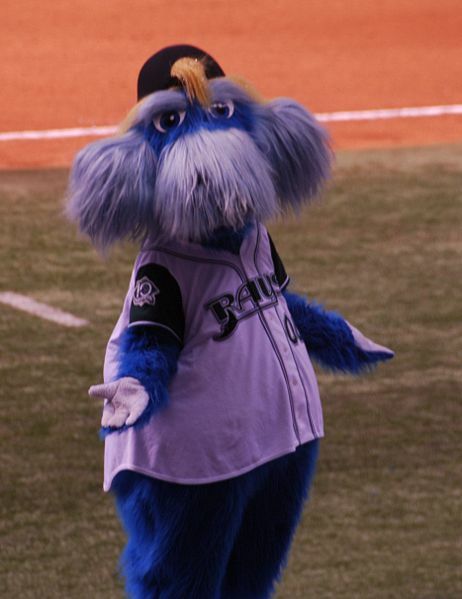 So on the eve of spring training, it is my hope I can find my old friend. I feel like baseball is a best friend I had a nasty fight with, but there is always a second chance and I think this season could be it. Instead of focusing on the money, drugs and politics involved in the game, I am going to try to focus on the grass, the sunshine, the crackerjacks and the seventh inning stretches. The greatness in the game is still there, but it is buried under a pile of dirt higher than a pitcher's mound. 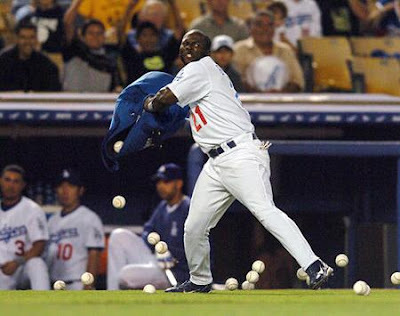 So when the Cubs take the field tomorrow, I will feel a little excited again, but I don't think I will love the game. I will be focused on the Milwaukee Bucks needing a win in Dallas. But slowly and surely, with the help of the baseball experts here and maybe even some advice from you the reader, I will once again love the game. And throughout the season, for as long as it takes, I will update this series until my love for the game is once again found. After all, I miss the feeling I got when me and my dad watched Kerry Wood hit a double against the Atlanta Braves during the 2003 playoffs that led to a win. I'm right here baseball, come back and get me. The SIU men's basketball team has been blessed with a bevy of talented coaches, especially in recent years. The Floorburn U Salukis that dominated the Valley for a good part of this decade started with Bruce Weber, who was hired in 1998 to replace Rich Herrin. Weber, a disciple of the Gene Keady school of basketball, instilled a hard-nosed man-to-man defense along with the motion offense. Coach Bruce suffered through some tough times in Carbondale, as he was not the people's choice to replace Herrin as Saluki Nation couldn't comprehend him being "one of us." It didn't matter to Weber, who posted a 103-54 record in his time at SIU. And since he deserves most of the credit for rebuilding the once-proud basketball program, he will be the team's head coach. Times were thin for the Saluki head coach, who used his secretary's nice car to pick up recruits because he drove a beater. Kinda sounds like what I'm going through in the dating scene. It's hard to pick up the honeys when you're driving a '72 Nova. Still, he was able to bring in talented players, underachievers and guys who flew under the radar to build a champion. As for his assistants, well, they're awfully knowledgeable when it comes to the game of basketball. His top assistant will be Matt Painter, the man who followed him at SIU. Painter posted a 25-5 record in the 2003-04 season and only lost one game in the Missouri Valley Conference that season before skipping town to coach his alma mater, Purdue. Chris Lowery will be the Weber's No. 2 man and his defensive coordinator. Lowery amplified Keady's system by heightening the intensity of the man-to-man defense and will forever be remembered as the coach who coined "Floorburn U." I hope he's getting money off that -- not that his $750,000 salary isn't more than enough. The team's third assistant, and offensive coordinator by default will be Rich Herrin. Oh what a tangled web we weave here at The Big Dead Sidebar as I've just hired the last four coaches in the Salukis' history. Herrin's philosphy was simple. Score. Score a lot. Lowery, who played under Herrin, often tells tales of Herrin's "if you don't score, you don't play" days ... and does a killer impression of his former head coach. With Weber, Painter, Lowery and Herrin on the bench (and probably long-time assistant Rodney Watson) SIU would have an excellent X's and O's coach assited by offensive and defensive masterminds up-and-down the bench. This coaching staff alone would win Southern a much-coveted Missouri Valley Conference Tournament title. It's hard to be excited for Toronto Blue Jays baseball right now and it's not just because they play in Canada. And it's not because the mascot looks like a ninja turtle. After watching the Tampa Bay Rays overcome daunting odds to win the AL East, the Toronto Blue Jays must feel like anyone can do it now. The Blue Jays are quite certainly in a messy situation playing in the toughest division in baseball and they that won't make a surprise playoff appearance likely. By all means 86 wins in 2008 was a success but in this division it only gets you a distance fourth place finish and that doesn't change this season. Overall, Toronto is a well-rounded team that would likely be in contention for an AL Central or AL West title if they played in either division. But in the star studded AL East, there simply aren't enough bullets in the chamber to make a legit run toward the playoffs despite having manager Cito Gaston, he of two World Series rings with the Blue Jays. For the most part last season, it was the pitching that carried Toronto, from the bullpen to the rotation. The bad news is that three of those five starters are gone. Young guns Dustin McGowan and Shawn Marcum are expected to miss most, if not all of the 2009 season with injury while A.J. Burnett took the big bucks from the New York Yankees. The good news is that All-World ace Roy Halladay is still there and brings a rubber arm and 16-plus wins to the table each season. Behind Halladay are a couple of up and coming pitchers headlined by Jesse Litsch who went 13-9 with an ERA of 3.58. Most of the rotation features relative unknowns but Casey Janssen's shift from the bullpen should help matters after he put up a 2.35 ERA setting up for closer B.J. Ryan. While there is some hope in Toronto there simply isn't enough proven talent anywhere to think they can topple the big three this season. The lineup is defensive oriented and outside of the two near-rookies (Adam Lind and Travis Snider) no one seems capable of driving in 100-plus runs. As a matter of fact even the known quantities, Alex Rios and Vernon Wells came up short in terms of duplicating their regular season standard production. Honestly, what probably makes the most sense is trading Halladay at the deadline for a beavy of prospects. He's on the wrong side of 30-years-old and the Blue Jays need to add more young talent at just about every position if they are going to overtake any of the top-tier AL East teams in years to come. It seems quite likely that the best and worst care scenario for Toronto is the same. The SIU men's basketball team has fallen on hard times. At 11-17, the Salukis' only chance to make postseason play is to win the Missouri Valley Conference Tournament. Sad. (Especially for this beat writer who really looked forward to covering an NCAA Tournament game). And while there is enough talent on this team to spring a few upsets in St. Louis, I have comprised an all-star team of former Salukis that couldn't fail at reaching the tourney even if it tried. Starting tomorrow, I will unveil that list. In the mean time, enjoy the beautiful Natalie Portman. Marvin Harrison is starvin' for a new contract, but the Indianapolis Colts don't seem to think it's a good idea. In turn, Harrison wants out of Indy. In search of a pass catching top-notch wide out? Look no further (or is it farther?) than No. 88. Fears of Harrison being over-the-hill should be silenced by one simple fact: he catches the ball. Even if he is starting the steady decline toward mediocrity, he is still a better receiver than anyone currently on the Chicago Bears roster. Even though he battled injuries last season, Harrison was still able to catch 60 balls for for 636 yards and five touchdowns. That's nine more catches than Devin Hester made last season. Granted The Windy City Flyer has him beat in receiving yards (665), but he's still learning the position. At least that's what the Bears brass tells us during weekly press conferences. So I'm thinking there is no better player to learn from than one of the best the game has ever seen. You know, a guy that has averaged a little more than 89 catches per year in his previous four healthy years. Or they could go grab a guy like Mike Furrey, who fits in well as the team's fifth No. 3 receiver. The ball is in your court, Jerry. The Milwaukee Brewers have to feel broken, beaten and scarred after a 2008-09 offseason that saw cult hero CC Sabathia leave for the New York Yankees. I went to Miller Park for the first time last season, twice actually, and the last game I went to Sabathia pitched to a standing room only crowd. Even Bernie the Brewer couldn't contain himself. Brewers fans took on the personality of a college football crowd in cheering for Sabathia because he essentially put the team on his back and carried them across the finish line toward their first playoff berth since 1983 with countless complete games. But in the end, this team just didn't have all the pieces come together in the rotation for a deep playoff run. The oft-injured Ben Sheets was, well, injured. Yovani Gallado was injured the majority of the season and the bullpen was a complete trainwreck. Fast forward to 2009 and things have changed for better or worse. Mostly things have changed for the worst but there are some positive things to consider. The Sabathia departure brings a couple of thoughts to mind. He was too expensive even at the price the organization quoted him at. On top of that, he has a ton of mileage on his arm and could be due for a breakdown soon. Finally, he hasn't performed in the playoffs yet. Sure it's easy to nitpick a guy who nearly won two consecutive Cy Young Awards but had Sabathia got her a year or two into the hefty contract, the Milwaukee would have been buried alive. The Yankees? Not so much. Outside of the biggest and most obvious reason to keep Sabathia around (on-field results), the Brewers also experienced an exponential growth in ticket sales because of him. The good news for the team is that they've sold more tickets before the season starts than they ever have before. So, in a way, the breakup with Sabathia is kind of like breaking up with the hot rebound girl you meet that only lasts for a month or so after you just finished a long term relationship that went awry. But just like that hot girl who for some reason took a liking to you, there's another hotter guy, or in this case, a richer guy to take her away. But good news Milwaukee fans, despite Sabathia leaving, ditto Sheets, Gallardo is healthy, Braden Looper arrives via free agency and the bullpen finally has a closer in Trevor Hoffman. The entire offense returns with an extra year of experience. Left fielder Ryan Braun, first baseman Prince Fielder, shortstop J.J. Hardy and right fielder Corey Hart provide an excellent source of speed and power. If young Manny Parra and Gallardo can take the next giant leap in their careers, Brewers fans could potentially be surprised with another playoff appearance. And that will make them all forget about the one that got away. Taking a look at the Houston Astros roster you can see a team that could either win 85 games or lose 85 games. From a literal standpoint, the Astros weren't all that bad in 2008, finishing with a 86-75 record and a third place finish. Given the way the Milwaukee Brewers regressed, there's no reason to think Houston can't contend for second place in the NL Central and potentially, a wild card berth. But while the Brewers went backward, the Astros stood pat, returning roughly the same team for 2009. Perhaps the most glaring weakness for this team is the pitching staff. Randy Wolf was added at the deadline and performed well in the rotation but he is still a free agent and it's doubtful that Houston has the resources to bring him back. For that reason and the three or four other reasons behind ace Roy Oswalt is why this team is capable of winning 85 games or losing just as many. Wandy Rodriguez turned in a respectable season with an ERA under 4.00 but he's more of a back of the rotation starter at this point. Behind Rodriguez are a bunch of question marks and it doesn't appear that either Mike Hampton, Brian Moehler or Brandon Backe will become pitchers of great worth. Hampton was the prime comeback candidate but he recently experienced heart problems. The offense on the other hand will make the Astros a team to watch. Shortstop Miguel Tejada, first baseman Lance Berkman, left fielder Carlos Lee and right fielder Hunter Pence provide a potent attack. Second baseman Kaz Matsui also delivered as advertised after coming from the Colorado Rockies in 2008. He'll get runners moving along if center fielder and speed demon Michael Bourn can actually get on base more (.288 OBP). The high water mark for this club is second place because there is no way, even if they get lucky, that they can overtake the Chicago Cubs for NL Central supremacy. But with a steady offense, they should be neck and neck with the Brewers. 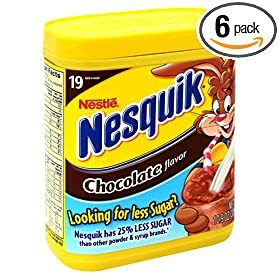 Now of they could just get a mascot that doesn't look like the Nesquick bunny. Texas Tech athletic director Gerald Myers has to be the dumbest man in college football. 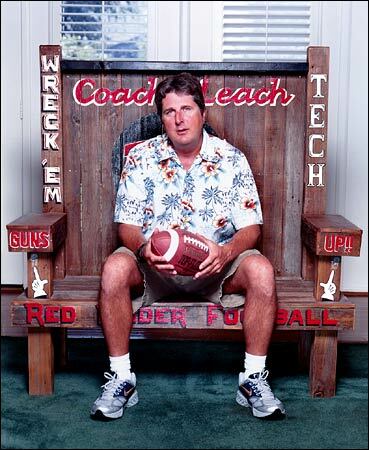 For those who don't know, Myers put a deadline on current coach Mike Leach to approve a new contract extension filled with baloney language about non-related Red Raider activity as well as the idea that if he doesn't sign the extension soon he'll be fired. This doesn't make sense on any front. Texas Tech is not Ohio State or Oklahoma here. In fact, the Red Raiders play in Lubbock, an obscure town in west Texas and have never won a Big 12 title (though Leach and co. deserved to have a shot last season). To make matters even more bizarre, Leach turned around a program that was messed up on more levels than football. Take into account this program was on probation before he arrived and also had terrible graduation rates. Leach's innovative offensive scheme breaks records, sells tickets, wins games and pumps out the conference's highest graduation rates. Commit to us forever or you're fired, essentially. Both sides claim it's not about the money and that appears to be correct because Leach was ready to sign the deal before the athletic director added some troubling stipulations to the contract. Among the many: Leach has to have permission from the athletic director to interview at any school and can be fired for not seeking permission. Who in the world would WANT their coach to interview elsewhere? How does that make a lick of sense? Another stipulation calls for Leach to only receive 12 percent of his contract if he is fired (well below NCAA coaching standards). Say Leach gets offered a job and decides to leave? It'll cost him a buyout of $1.5 million, an elevation from the $500k buyout he currently has. But what is the most ludicrous rule? Any money made outside of his coaching contract due to his appearances, book deals or otherwise goes to the university. No one in their right mind would agree to that and if they did, it wouldn't be at a school like Texas Tech. Of course, Leach won't agree to this deal and if his superiors stick to their plan, he'll be fired. So you take a team to the brink of a national championship, a Big 12 title and have the best grades in the country while doing it and you are rewarded with ultimatums? By all accounts, Chicago Bulls GM John Paxson is a lame duck. Which makes sense after that lame trade he orchestrated yesterday. I wonder if Mad Pax knows that the Bulls' biggest weakness is the lack of a low-post presence that can team with budding star point guard Derrick Rose starting now and going into the future. Instead, the Bulls got a big sloppy, sloth-like softy of a 32-year-old center (Brad Miller) and Thabo Sefolosha's American clone, John Salmons. Miller will be serving his second stint in Chicago ... which makes me wonder what was the point of trading him in the first point. Oh, that's right, because he wasn't that good the first time around. Nothing says block dominance like a 7-footer spotting up for three -- unless his name, of course, is Dirk from Dallas. The trade basically confirms the Bulls traded the expiring contract of Drew Gooden for absolutely nothing. And now they're adding two more years of Miller, whose name maeks me feel as if I drank a case of Miller High Life, but not as intoxicating. Still makes me kinda wanna throw up. It's too bad Carbondale's kids weren't playing Chambana's crew tonight. Illinois scored 33 points in its loss against Penn State ... which only scored 38 points. Anthony Booker and Ryan Hare combined to score 34 points. That means the two Saluki freshmen could have done the damage in the first half, taken the second half off and still would have beaten U of I by one stinkin' point. Sorry to take away from DePaul's pity party, but it's a sad day for basketball in the state of Illinois. Nobody in their right mind believes admitted PEDphile Alex Rodriguez. He's lied. He's cheated. No one believes him. Not even in Chicago, where Cubs fans believed the likes of Andy MacPhail, Ed Lynch and Dusty Baker would deliver championships. Bulls fans trusted Jerry Krause and John Paxson to rebuild disaster basketball squads. And don't even get me started on the Bears or Blackhawks' previous short-comings on their respective promises of championships. So here we have a city that embraced former rivals and evil-doers. Dennis Rodman, Jim Edmonds and Bob Probert were once revered by Bulls, Cubs and Blackhawks fans, respectively. Rodman and Edmonds eventually became beloved figures during championship runs. I'm still waiting for Probert to get out of rehab. And that brings us to A-Roid and the Chicago columnists that aren't cutting him any slack. Rick Telander [Chicago Sun-Times]: "Would you let a half-witted ''cousin'' clandestinely shoot you up with unnamed drugs in an unsanitary fashion dozens of times over a three-year period when you're getting paid $25 million a year to do what you already have done and this seeming moron might be killing you?" So how long until someone finds A-Rod's cousin? Weeks? Months? Days? My money's on either the New York Times and its staff of brilliant investigative journalists or ESPN who has the pure man-power and seemingly endless funds to find this character. Maybe the better question is how long until the New York Post or Daily News finds out that A-Rod's cousin doesn't exist? Rick Morrisey [Chicago Tribune]: "Unfortunately, being young and stupid (more about the validity of that characterization later) doesn't absolve one of bad behavior. It's why, no matter how sincere he was in apologizing for his past mistakes, Rodriguez shouldn't get to sit in the big-boy wing of the Baseball Hall of Fame." I'm a 22-year-old college kid, and I know young and stupid. So maybe there is a reason I realized when A-Rod said he was young and stupid, he was in his eighth, ninth and tenth(!) seasons in Major League Baseball. He was a major league veteran. MLB vets don't make "young and stupid" mistakes. You know who makes "young and stupid" mistakes 18-to-24-year-olds who have finally broken away from mommy and daddy's loving grasp while on their first (and sometimes only) semester at college. And while this might be Rodriguez's truth presented by a highly-paid group of Ivy League-educated attorneys, I'm going to ask of him to really come clean. Just say that you took the steroids because everyone else who was doing it benefited mightily and you didn't want to be left in the dust. Not a day goes by without me hearing "newspapers are dying." And it got me to thinking, while the daily hard-copy newspaper are slowly declining, so are the quality of clear-cut No. 1 running backs. While some of the credit (blame?) can be spread to areas such as free-agency (where players are leaving for the next best offer) and costs (because player salaries are going through the roof), I feel as if the main reason the number of grade-A running backs is down because of health. Top-tier backs are getting pummeled on a daily basis in practice, and then going out week-after-week and getting hit even harder by players' whose goal in life is to make your job miserable, you know, so they don't get cost cut. So consider this my preemptive strike. With Matt Forte coming off a damn-fine rookie season in which he led the Bears in rushing and receiving, Chicago is going to need an insurance policy. And with Fred Taylor and Deuce McAllister, former star feature backs in their own respects, being cut loose by Jacksonville and New Orleans, respectively, Jerry Angelo would be wise to take a look at improving the depth of his ball carriers. Carrie Underwood apparently is fond of ducking cameras. The paparazzi won't follow us around Carrie. Busy day for me as I have class at 9 a.m. but am still prepped for a day full of blogging. Let's get this day started right with today's Dosage. Salukis host streaking Sycamores. While the SIU men's basketball team is coming off back-to-back 20-plus-point losses, Indiana State has won three-in-a-row. Sounds like a mismatch, but the Salukis beat the Sycamores handily in Terre Haute, Ind., last month. The message boards are ablaze with "Fire Chris Lowery" posts left and right and it just blows my mind. Look, I was disappointed with the SIU Salukis last season after failing to qualify for the NCAA Tournament despite a lofty preseason ranking. Of course I'm even more frustrated this year but Lowery doesn't need to be fired for a million reasons. No small-market team can afford to fire a coach who recently started a $750,000-a-year contract and this is no exception. It took a miracle to keep him here to begin with. There were big name schools after him with deeper pockets, not to mention the fact that SIU is struggling financially anyway. And even if money weren't an issue, Lowery's track record indicates that everything will be fine. As Alfonso Soriano once told Cub fans: "Be Paitient." It's not like Lowery is doing a spectacular job lately and most of the blame sits squarely on his shoulders. But the blame that rests on his shoulders will be gone soon enough. You see it was the problems and mistakes Lowery made during his first two-to-three seasons at the helm that are affecting him now. I realize that sounds crazy because the team went to the second round of the NCAA Tournament his first season, then reached the tournament again in his second and completed the spectacular run with a Sweet 16 appearance his third year, but he did that with Bruce Weber and Matt Painter's players. That was always my knock against him but he fixed that this year. The thing that kept the line moving from 2001-2007 was great coaching, continuity and great recruiting. But the last part disappeared in 2005 to an extent. SIU has always relied on a dominant back court and each year or so, a new duo would take over without any drop in production. But since 2005, there were a few players who never panned out and the ones who did, didn't become superstars. Couple that with some tough luck in recruiting and you have a recipe for back-to-back letdown seasons. Take Bryan Mullins and Matt Shaw for example. Both players came in and started at some point as freshmen and did a respectable if not remarkable job for their age. But as we saw last season and to a different extent this season, they were never able to really build much on what they had already done. Shaw was supposed to form a dynamic duo with fellow senior Randal Falker last season but it never panned out. Sure you can blame the brutal schedule but they didn't deliver in the conference tournament either. Falker was constantly being double-teamed and Shaw and Mullins weren't big enough threats offensively to take the pressure of him. This season we've seen great things out of Mullins before he got injured but we didn't need a pass-first point guard anymore. We needed a scorer. Obviously this isn't an offensive oriented team but you need a go-to-threat and as the senior leader, Mullins should have been it. Obviously this is no knock on Mullins, he did his job as a great point guard and played unreal defense but he didn't have a whole lot of help because Lowery failed to lock up local standout Josh Tabb. Part of this wasn't Lowery's fault because Tabb had to sit out a year because of academics and then decided Bruce Pearl and the Rocky Top Vols were too good to ignore. The problem with that year is that Lowery never rebounded from a recruiting standpoint. The year before he thought he could get something out of Wesley Clemmons eventually but here we are five years later and he's still an sixth man at best. The two post players Lowery reeled in were busts and never looked capable of playing in the Missouri Valley Conference. Those players, Jordan Armstrong and Christian Cornellius were level headed guys, just not premier basketball players, or even bench players. Fast forward to the next year of recruiting and you'll find a couple of quick fixes but no long term depth or star power. Transfers Kobby Acquah and Tyrone Green were fun to watch for different reasons but neither offered any help past the Sweet 16 season. The only other player of note in the class was Josh Bone, who had a rocky few months of play before transferring this season. So by my count, out of his two recruiting classes that should still be around, he has one player left on the team (Mullins). That's an absolutely brutal indication of just how bad Lowery was at recruiting initially. It wasn't untill the 2007 recruting class that we finally saw glimpses of Lowery's recruiting abilities (a deep tournament run didn't hurt either). But even that class was tainted with a defection/disappointment (Brandon Wood). Carlton Fay was the gem of the class at the time, although Justin Bocot may have something to say about that, and Nick Evans could eventually provide help in the post. Fact of the matter is SIU had only a couple of players they could use this year with any kind of confidence. Mullins and Fay were the only significant pieces to return this season (I don't count Tony Boyle). Now you can see why the Salukis are where they are despite a dynamite recruiting class they had in 2008. There wasn't enough depth because of bad early recruiting and defections. The defections aren't on Lowery but the bad talent evaluation is. I don't miss Bone, Wood, Cornellius, Armstrong or Torres Roundtree (this year's defection). Four of those players weren't very good and the fifth (Roundtree) just got kicked out of JUCO for drug problems. I do miss some kind of depth or star power Lowery failed to provide during his first few years on the job. But you live and learn and Lowery has. I thought the high-water mark for this team was 18 wins and that seems lightyears away at this point. Either way, this was going to be a rebuilding year but despite the young crop of talent SIU has, the depth doesn't improve much next year. The good news is, we've at least seen flashes of certain players to know there is a bright future ahead. Now is the time to use the opened scholarships on junior college players to provide desperately needed depth. Tony Freeman should be dynamite next year at one of the guard positions and in turn will move one of the three freshmen guards to the bench. The questions become who and how they will handle it. In different ways, Kevin Dillard, Ryan Hare and Bocot has shown they are capable of holding down a starting spot, but who becomes the sixth man? Perhaps Lowery would switch to a four-guard offense. If there's no change in the set up of the lineup, you have to figure the battle is between Hare and Bocot because Dillard is a pure point guard who is currently leading the team in points per game. This isn't a bad dillema for a team sorely needing depth but the player who heads to the bench has to buy into that role for a year before Freeman vacates it. Couple that with Fay and either Anthony Booker or Evans and you should have a pretty solid starting five if Fay and the rest of the squad take that next step. Say it pans out this way. That sounds like a rock solid starting five despite the youth and inexperience. Couple that with Evans and Hare as some of the first people of your bench and it sounds even better. So be paitient with Lowery for another year and let's see what happens. In the meantime, his goal should be adding two or three players who can come in and make an impact of the bench immediately.